For full figured women in the corporate world finding plus size suits is a necessity. Suits should be well-tailored and fit perfectly. This means that you should stay away from boxy cuts and look for definition. Nipped-in jackets are ideal in creating a curvy figure. A business suit consists of a jacket or blazer with a skirt or slacks. Traditional colors like navy blue, black or gray are good for presenting a serious image, but don't feel you have to be confined to those colors. 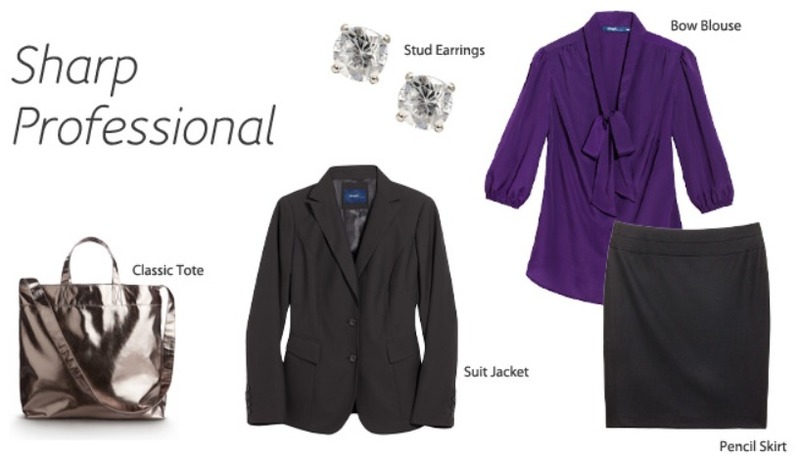 You can still look professional in brighter colors. Just keep in mind your particular business environment, as some corporations and industries are more conventional than others. Banking is a traditionally conservative business, while careers in any of the artistic factions are generally more open to individuality. Pairing a blazer with a pair of slacks or a skirt creates a look that is polished and professional. Plus size jackets and blazers come in an array of styles, including classic designs, shirred cuff, cropped cuts and many other styles. For professional women, skirts should fall no shorter than knee-length. A-line shapes are flattering to many women. Plus size women should avoid skirts with pleats or a lot of ruching; the simpler the style, the neater the overall look. Pants can be very comfortable to wear because you don't have to be as concerned about getting in and out of cars or taxis as you do with skirts. While styles will come in and out of fashion, a classic pair of slacks can be worn for years. Whether you prefer a streamlined leg or something a bit wider, your slacks should fit well, but not tightly. Free $200 Hat or Suit with ANY women's suit purchase (WOW) ENDS SOON!!! Shop Suits and Separates at Ashley Stewart (Plus Sizes 12-26)!